Kelly attended dental assisting school and earned a radiology certification in Pennsylvania. She later went on to St. Petersburg where she received her expanded functions distinction. Fast forward to today, and Kelly has over two decades of dental experience under her belt. 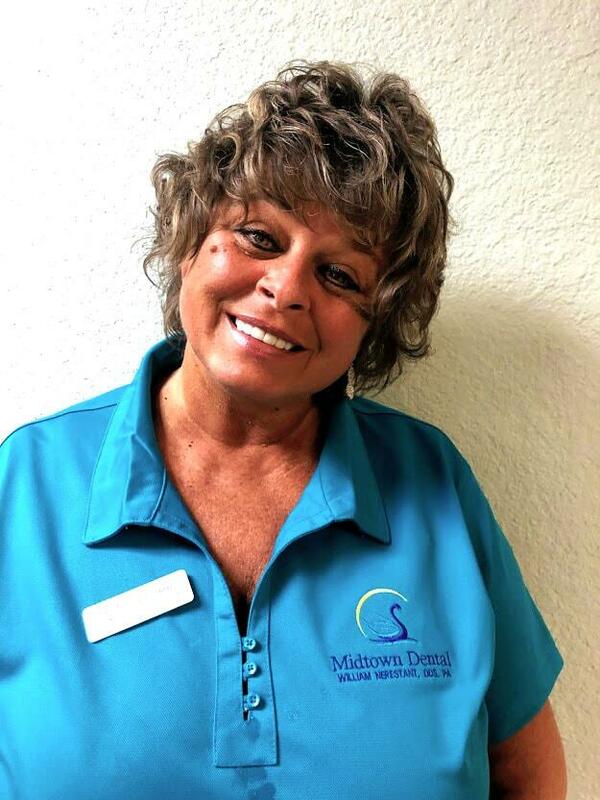 When you visit Midtown Dental, you’ll find Kelly assisting with planning affordable treatment plans for our patients, assisting with financing, and providing valuable patient education. Kelly says dentistry was a good career fit for her because of how much she loves helping people. She’s rewarded by the work she does and enjoys getting to know patients and working alongside a talented team. Kelly also has over 25 years of retail management and sales skills, helping her to approach her position with Midtown Dental with compassion. Kelly is loving, sincere, compassionate, caring, and lots of fun. Kelly volunteers at church and helps feed the homeless. She’s originally from PA and has two grown children (a son and a daughter). Kelly loves going to the beach, fishing, spending time with both her regular and church families.